Op Husky AHQ Malta Op Order No 52, 1943 (TNA 23/5464). In Apr 1943, Malta became an operational base for the invasion of Sicily. Gen B Montgomery arrived on 3 July, Gen H Alexander followed on 7 July, with Gen D Eisenhower on 8 July. The invasion of Sicily, Operation Husky, was launched on 10 July to drive Italy out of the war and secure the Mediterranean against axis attacks. Troops landed in Sicily at 03:00 on 10 July. By 20:00 hrs the first three walking wounded casualties arrived at No 45 (UK) General Hospital. Following the fall of Sicily the allies landed in Southern Italy on 3 Sept 1943. Italy surrendered on 8 Sept 1943. Marshal Pietro Badoglio who had replaced Mussolini on 25 July signed an armistice which called for the Italian Fleet to surrender at Malta on 10 Sept 1943. On 15 Sept, an Italian Hospital Ship arrived with 40 casualties. One serious casualty was admitted to 45 GH, the rest of the patients remained on board, and the hospital ship sailed off on 16 September. Several members of the Italian Navy were admitted to No 45 (UK) GH and were treated as internees. On 13 Oct 1943, Italy declared war on Germany. On 16 Oct, the medical officer from RAF Kalafrana examined No 5166 Pino Armando who had sustained a colles fracture. This was at the request of the medical officer of the Italian Battle Cruiser Julio Cesare. The casualty was transferred to the Station Sick Quarters and then admitted to No 45 (UK) GH. In May 1943, a Reception Station (RS) was established at Gharghur with a capacity of 60 beds and the potential to expand to 100 beds. The RS accepted patients from 10 June. ADS Luqa was handed over to the RAF Medical Services on 24 Apr 1943. In July 1943, two wards of eight beds each were taken over at Victoria Hospital Gozo for the treatment of British and American troops stationed on the island. The wards were staffed by medical orderlies of RAF and RAMC personnel and American medical officers. On 4 July, Captain L G R Roberts RAMC was attached to 15 Field Ambulance for duty at the Gozo hospital. 45 GH transferred its patients to 39 and 33 GH to prepare for the ingress of casualties from Op Husky. The hospital expanded to accommodate 1200 patients. On 15 June, a number of other ranks from 15 Independent Brigade Group Field Ambulance RAMC, was attached to Sliema Government School which was converted into a 500 bed Reception Station. 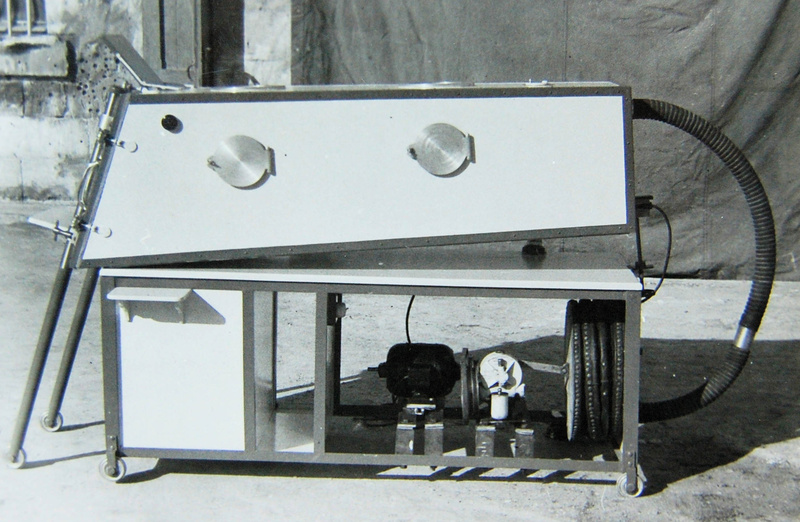 The Royal Engineers installed a kitchen, an improvised operating theatre and a contaminated wounded cleansing department. The school was well suited as a Reception Station. It was composed of one rectangular block of two stories, divided centrally into two squares. It included a basement which extended round two sides of the building. Owing to the shortage of medical personnel, reinforcements of infantry were used for the general duties of the station. It was envisaged to have a staff of 5 officers, 54 RAMC, and 40 infantry manning the Sliema Reception Station. On 6 July, the role of Reception Station Sliema changed to a Triage Centre (TC) for all casualties arriving in the island. The ground floor was converted into a reception, resuscitation and evacuation centre; the upper floor of 250 beds was retained as a holding area for minor cases until the General Hospitals were ready to receive them. 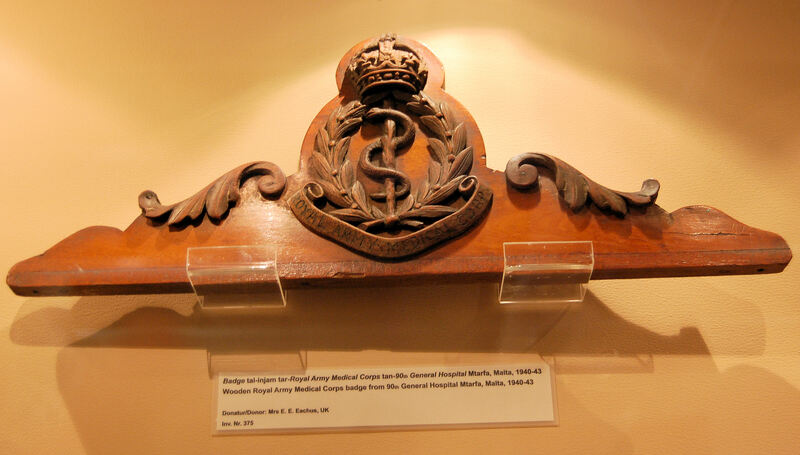 On 9 July, Capts J R Bolton, G F Houston, W F A Oakes RAMC and Reverend C O Kennedy CF were attached to Triage Centre Sliema for temporary duty. The first five casualties injured in landing operations in Sicily were received on 10 July. Casualties as well as 199 POWs, passed through TC Sliema in small numbers. POWs requiring further treatment were evacuated to 45 General Hospital. TC Sliema closed down on 7 Aug 1943. On 10 July 1943, forty survivors of the Glider Pilot Regt returned from landing operations on Sicily. On 11 July, four officers and 33 ORs from Glider Troop were admitted from the Dockyard Aid Post to Reception Station Sliema. They were suffering from exposure after landing in the sea. The following were mentioned for gallant and distinguished services in Malta (London Gazette 14 Oct 1943). On 23 Aug 1943, an explosion took place in a tunnel being constructed at the base of the Barracca lift, Valletta. A medical officer and orderlies from MI Room Valletta, and an ambulance and medical officer from RS Hamrun attended. There were 58 military and civilian casualties, with five deaths. No 33 GH (1200 beds) under the command of Col W C MacKinnon arrived at Malta on 1 June 1943. It was accommodated in the wards of 39 GH, which ceased to accept patients until 12 June. In order to reserve beds in 90 GH for casualties from Op Husky, 169 patients were transferred from 90 GH to 33 GH. 33 GH moved to Ghajn Tuffieha on 5 June, leaving its nursing sisters with 39 GH. The sisters rejoined 33 GH on 12 June, apart from ten who remained attached for duty with 39 GH. The hospital admitted light medical and surgical patients from 3 July 1943. On 6 June, Col MacKinnon took administrative control of the Command Convalescent Depôt Ghajn Tuffieha. No 33 GH closed on 6 Aug 1943, when it transferred its 81 patients to 39 GH. 45 GH opened on 20 Aug 1941 in the Garrison Gymnasium Pembroke Camp, while St Patrick's Sandhurst Barrack Block was converted into a 600 bedded hospital. 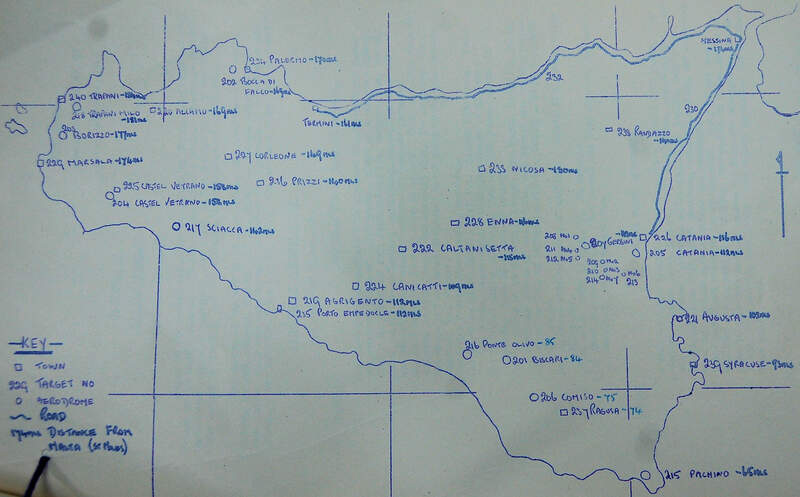 No 45 GH was organised in five main divisions for administrative purposes: Medical (o/ic Lt Col Hartfall), Surgical (o/ic Lt Col Mitchell), Hospital Administration and Registrar's office (o/ic Maj Edwards), Administration of hospital personnel (o/ic Capt C V Light), Quartermaster's Dept (o/ic Lt G E Andrews). The five administrative officers reported directly to CO 45 GH. The hospital admitted: general medical and surgical cases, dermatological and venereal patients, infectious diseases, gas cases and shell shock patients, facio-maxillary patients, orthopaedic cases, and sick junior officers. SE Wing Ground Floor: Four barrack rooms became an acute surgical wards. On the ground floor were also the sterilizing and anesthetizing rooms, Operating Room Theatre "A", Operating Room Theatre "B" and storerooms. NE Wing Ground Floor: All the barrack rooms were converted into officer's wards. NE Wing 1st Floor: Five barrack rooms on the east end of the wing became minor surgical wards. This floor also had the Dental Centre and ENT department, which included a consulting room, dark room, and a six bedded ward. NE Wing 2nd Floor: Six barrack rooms became minor surgical wards, Ophthalmic Wards and consulting rooms. SW Wing Ground Floor: Barrack rooms were converted into three acute medical wards. SW Wing 1st Floor: Four barrack rooms were converted into acute medical wards, linen store, and medical specialist consulting room. SW Wing 2nd Floor: All six barrack rooms were converted into infectious diseases wards. NW Wing Ground Floor: Barrack rooms were used as barrack accommodation. NW Wing 1st Floor: Five barrack rooms became minor medical wards. NW Wing 2nd Floor: Five barrack rooms became skin wards. The Pathology Laboratory was also located on this level. SE Wing 1st Floor: Five barrack rooms in the east end of the wing became a sub acute surgical and orthopaedic wards. The Massage Department was also on this floor. SE Wing 2nd Floor: Five barrack rooms became convalescent surgical wards. Also on this floor were the NAAFI and canteen. Central Block Ground Floor: This floor had the dining room, a gas defence room, and a crash hall. Central Block 1st Floor: Matron's Office, telephone exchange, outpatients consultation room, reception and MI Room, OMO room, clerks and ward-master office were on this level. Central Block 2nd Floor: Three rooms were used as VD wards, one room as a Hospital Chapel, and another as the Patient's Library. Lower Ground Floor (NE Annex): The mortuary and post mortem room were located here. On 1 June 1943, Sisters Miss M E Harris and Miss L M Flower QAIMNS arrived from the Middle East as matron and assistant matron 90 GH respectively. On the departure of 15th Fld Amb, 90 GH became responsible for: Reception Station Hamrun (60 beds), Area M I Rooms Zabbar, Rabat, Attard (subunit if M I R Rabat), Valletta and Floriana Dispensary, Zurrieq and Zejtun (subunit if RS Hamrun). No 45 GH became responsible for the rest, ie: Camp Reception Station St Andrews and Dispensary, Area M I Rooms Tigne, Naxxar (subunit of CRS St Andrews), and Gozo. Dental Surgeon D V Taylor served in Malta and North Africa during the war. Commissioned Lieutenant in 1936, he rose to the rank of Brigadier in 1966. He was consulting dental surgeon to the army 1958–1967, and Hon Dental Surgeon to HM 1961–67. He also qualified as a barrister. He retired on 30 April 1967. Station Sick Quarters shelter in quarry at Ta' Qali.. 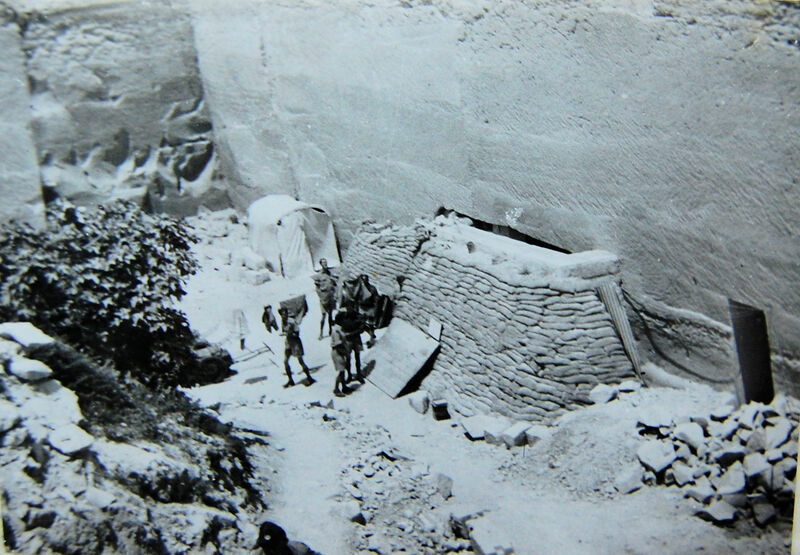 Note the rubble which provided ideal breeding ground for sandflies and incapacitated the men with sandfly fever between June and October. Administratively, Malta Air Command fell under Middle East Command and Operationally under Mediterranean Air Command. On 22 Sept 1943, Malta Air Command was transferred from Middle East Command to Northwest African Forces (NAAF) Command. On 1 Mar 1943, Wng Cdr G A M Knight took over the duties of Principal Medical Officer from Wng Cdr T J X Canton. In April 1943, Acting Sqn Ldr J R O'Dowd was invalided to England with a fractured ankle after 17 months service as SMO Luqa. He had shown commendable leadership during the blitz of Malta. All aerodromes and Kalafrana had underground accommodation as Sick Quarters in the event of intense enemy action with the exception of Qrendi and Safi. The RAF used the army hospitals for their patients. All Sick Quarters were equipped with medical stores obtained from the army. Nursing Orderlies LAC G Poppleton and LAC C J Jenkins were awarded the British Empire Medal and LAC F Horton was mentioned in dispatches for gallantry displayed during the latter half of 1942. The chronic shortage of nursing orderlies was partly eased off by the training Maltese airmen and by drafts from the Middle East. RAF Station Sick Quarters Luqa. In 1943, during the build up for Op Husky, the RAF medical services provided medical care for the Mine Sweeper Base at St Paul's Bay, medical staff at Gozo, casualty evacuation of all naval casualties from the Kalafrana–Marsaxlokk area and formed a Casualty Air Evacuation unit at Luqa. At RAF Station Luqa, the underground and only sick quarters was far too small. It was located beside the underground power station which made it very noisy. 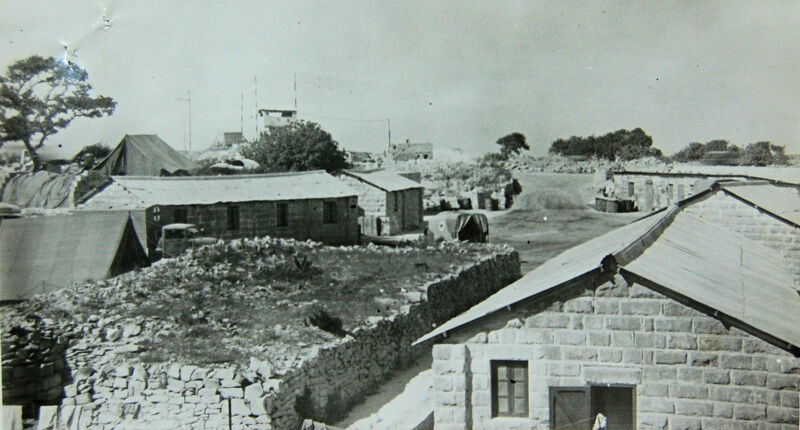 In 1943, the army handed over their Advanced Dressing Station in Tad Daul Quarry between Mqabba and Luqa Aerodrome which made an enormous improvement in working conditions for the medical section who were looking after 3000 men. The accommodation in the quarry was expanded to take 60 beds. Part of this accommodation was utilized for the reception and holding of cases of the Casualty Air Evacuation Centre. An underground crash room was fitted up for the reception of casualties during air attacks. The old underground sick quarters was then utilized as a Medical Inspection Room. 9 April: Sister Miss Watson QAIMNS(R) was taken off the strength of the hospital and transferred to No 90 General Hospital. 13 April: Sister Miss Masters QAIMNS was taken off the strength of the hospital. 13 April: Sister Miss Fallows QAIMNS(R) was taken off the strength of the hospital and transferred to the Middle East. 13 April: Sister Miss Elliott TANS was taken off the strength of the hospital and transferred to the Middle East. 13 April: Sister Miss Binyon QAIMNS(R) reported for duty in the Military Families Hospital. 13 April: Sister Miss Rees TANS reported for duty in the Military Families Hospital. 14 April: Sister Miss Webster TANS reported for duty in the Military Families Hospital. 14 April: Sister Miss Perkins QAIMNS(R) took over the duties of Sister in charge Military Families Hospital. Before the war, the Military Families Hospital Mtarfa, was an established peace time hospital with a maximum of 31 beds and a maximum nursing staff of six. In Dec 1939, the beds were increased to 60 and the nursing staff to 8. In 1941, the War Establishment reduced the nursing staff to 4 nursing sisters (midwives). Tacit approval by the War Office was given on 1 August 1940, for the admission of the families of all the three services, officers and other ranks. In May 1941, following the bombing of King George V Hospital, the only hospital frequented by the wives of UK non entitled other ranks, HQ Malta authorised the admission of families of officers of all services on the recommendation of the PMO. There was no suitable hospital accommodation in Malta for UK wives of UK officers and other ranks not on the married establishment. The Cini Maternity Hospital of 100 beds run by the Prof of Obstetrics and Gynaecology of the University of Malta had a high standard of clinical care but the food and accommodation was inferior to that in the military families hospital and the environment alien to the British wives. During the blitz entitled wives of local troops began to use the Military Families Hospital. After the evacuation of some of the families, Malta still had 4500 entitled army women and children, while the total for all three services in October 1943 was 7800. Admission to the Military Families Hospital remained at the discretion of the GOC on the recommendation of the DDMS. Two Malta Pattern Drinker Ventilators were constructed by the Royal Engineers. (TNA:WO 222/151). An epidemic of Acute Anterior Poliomyelitis struck Malta between 15 Nov 1942 and Mar 1943. The first military case from 39 Squadron RAF was admitted to 45 GH on 13 Dec 1942; a second patient, also from the RAF (1435 Sqd) was admitted on 16 Dec, when an "Iron Lung" was borrowed from the Civil Medical Officer of Health. On 30 Dec 1942, a ward with a Drinker Artificial Respirator was set aside in Isolation (F) Block 90 GH. The epidemic struck 483 patients, 426 civilians and 57 servicemen. The incidence fell most heavily on Maltese children under 5 years of age (82%). Sixty one persons over the age of 20 years were affected, but of these only four were Maltese, the remainder were service cases from the United Kingdom, of whom pilots of the Royal Air Force were particular victims. There were as many as 32 cases of paralysis in hospital at one time. Reinforcements had to be flown in for the nursing staff, among whom five sisters and six orderlies became infected. The mortality rate was high in the military (19.3%) and low among the civilians (3.5%), the chief cause of death being respiratory paralysis. Only two iron lungs were available at 90 GH Mtarfa, but the Royal Engineers managed to produce one run by a diesel engine. The virus was an indigenous strain. There was no evidence that it had been brought to Malta by service personnel. Poliomyelitis has been endemic in Malta for many years, though the annual number of notifications has always been small, and there had never before been an outbreak that could be described as an epidemic. Adult Maltese were almost completely unaffected, and there were no cases among Maltese soldiers. All service personnel who came from the United Kingdom were severely affected, despite poliomyelitis being endemic in England. The case incidence was 2.5 per 1,000. The mortality rate of British children was much higher than that of the native children, and the residual disability among the survivors was considerable. 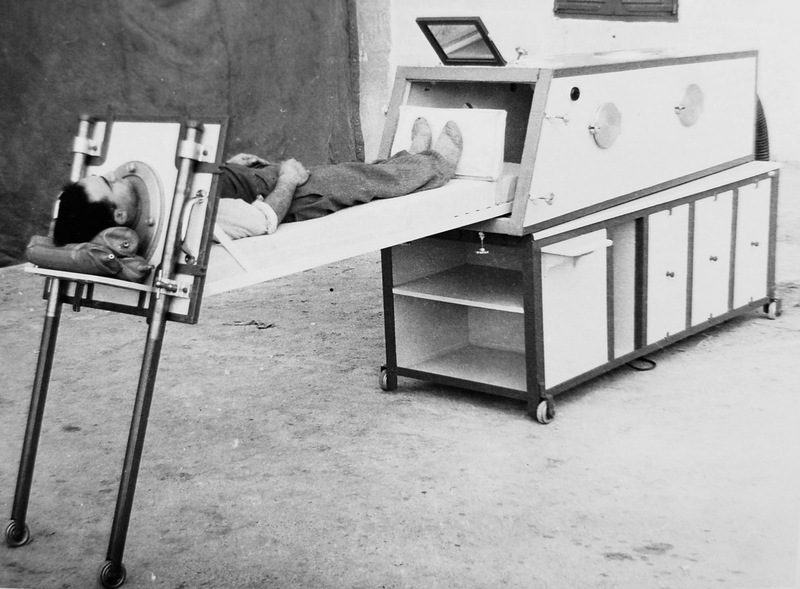 On 15 Jan 1943, Brig Archibald Douglas McAlpine, consulting neurologist Middle East, visited Malta in connection with the polio epidemic. Medical officers met at Mtarfa to discuss the epidemic. There were 42 cases among service personnel since early Dec, with seven deaths. Prof Bernard CGMO attended the meeting and was thanked by the DDMS for the loan of their last "iron lung" to the service hospitals. On 7 Jan 1943, HQ Malta Command made all places of entertainment out of bounds to troops, and forbade the congregation of men in confined space within units. On 17 and 26 Mar 1943, Prof Herbert John Seddon Seddon FRCS orthopaedic surgeon, visited No 45 GH to consult on the treatment of polio. During the recent epidemic of anterior poliomyelitis, he has been in charge of the ward set aside for the treatment of acute cases. His skills and devotion to duty have been of outstanding merit and have largely helped to ameliorate the sufferings of his patients especially of those for whom artificial ventilation was essential over long periods. Underground sick quarters were very damp and a considerable amount of medical stores was damaged. In view of the unlikelihood of further prolonged bombings, all medical equipment including the operating table were moved to the Station Sick Quarters. The widespread use of electric panel heaters had little effect on the dampness until a forced air conditioning system was introduced. Workshops were sited underground in quarries to protect them from bombs. There were mixed feelings among the Maltese when in April 1943, the Government brought Mauritanian Troops into Malta in response to manpower shortage. The Colonial troops took sides with malcontents against English rule and the British Garrison. In Sliema and St Julians the tension that their presence caused in bars and cinemas was considerable. British troops and Maltese civilians after sharing four years of hardship had grown to tolerate each other and the fragile relationship was disturbed by the introduction of colonial troops who became a focal point for malcontent. The Army List Jan 1943, correct to 25 December 1942, Part 1. The Army List Apr 1943, correct to 25 March 1943, Part 1. The Army List Apr 1943, correct to 25 March 1943, Part 2. The Army List July 1943, correct to 22 June 1943, Part 1. The Army List July 1943, correct to 22 June 1943, Part 2. The Army List October 1943, correct to 25 September 1943, Part 1. The Army List October 1943, correct to 25 September 1943, Part 2. General returns of the strength of the British Army 1943. Crew F A E, Medical history of the Second World War, Malta 1940-43. Vol 1, 613-632: John Wright and Sons Ltd; HMSO 1956. Henry Harris, The Royal Irish Fusiliers. (London: Leo Cooper Ltd), 121-129. Poliomyelitis in Malta Br Med J (1945) 1: 4404: 773 (Published 2 June 1945). Agius T, et al. The Poliomyelitis Epidemic in Malta 1942-43. Br Med J (1945) 1: 4404: 759 (Published 2 June 1945). Bernstein H G G, et al. 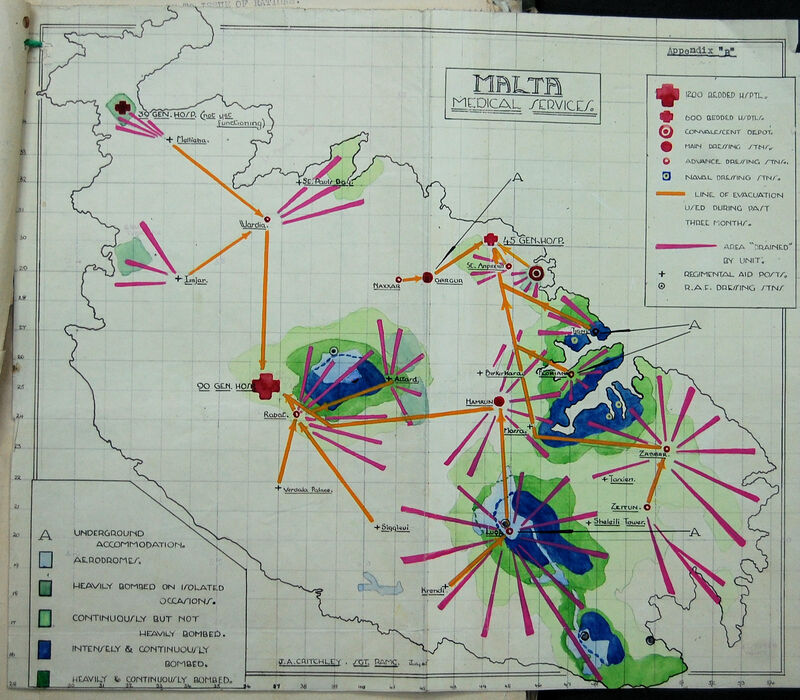 Acute Anterior Poliomyelitis among Service Personnel in Malta 1942-43. Br Med J (1945) 1: 4404: 763 (Published 2 June 1945). H J Seddon, Thomas Agius, H G G Bernstein, R E Tunbridge The Poliomyelitis epidemic in Malta 1942-43. Q J Med 1945; 14: 01-26. TNA:WO 373/78/296, Recommendation for award Service no 7390822 Pte George Lupton 39 British General Hospital. TNA:WO 373/78/313, Recommendation for award Service no 111999 Captain Hyman George Gillis Bernstein 90 British General Hospital. TNA:WO 373/78/330, Recommendation for award Service no 7391411 Sgt Harold Edward Fisher 90 British General Hospital.